Raw Chocolate Fudge. 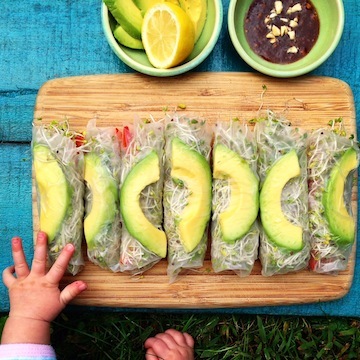 [and the best raw chocolate sauce] | Eat More Plants. I made raw chocolate fudge (again). 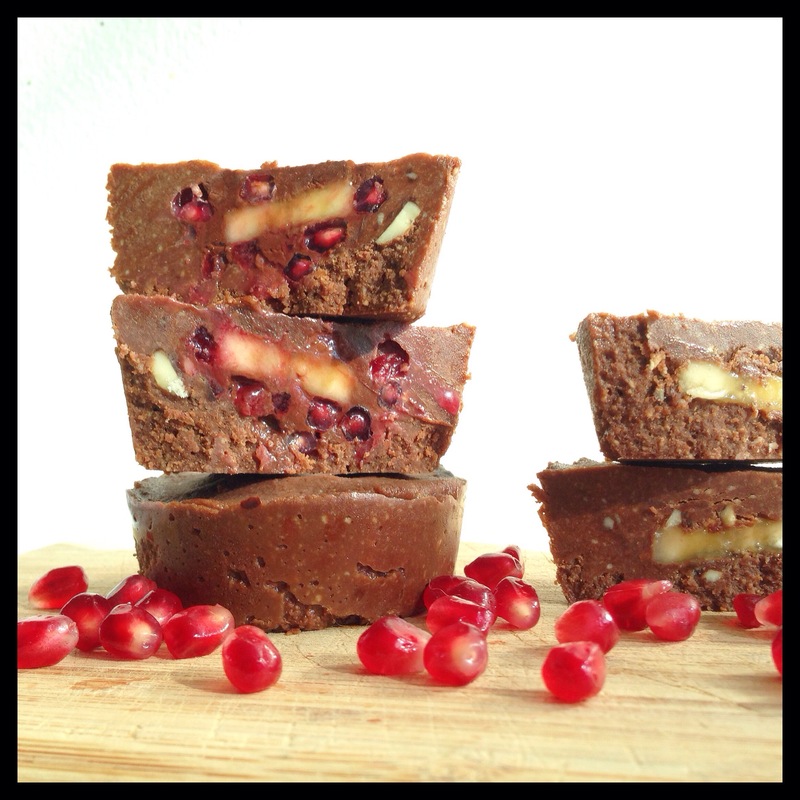 Here’s the original recipe: raw chocolate fudge. 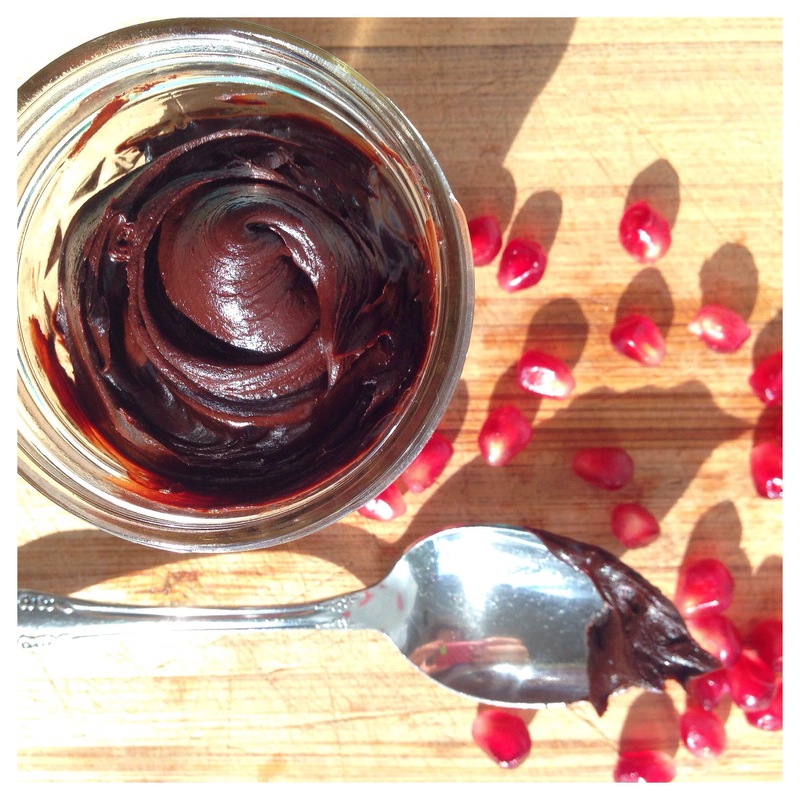 This time I made a raw chocolate sauce and added a dollop of that along with some sliced banana and pomegranate. I wasn’t sure how the pomegranate would freeze but it was fine as long as they were fudge covered and not exposed to the air. Whisk everything together in a saucepan over low heat until smooth. No need to let the sauce get hot, just warming everything helps to blend better. Store the unused portion in an airtight container in the fridge. Goes great with fruit, ice cream or even try adding a spoonful to your smoothie. Really, there’s not much that this sauce doesn’t go with. This makes 6 cupcake sized molds, about 1 1/2 inch in height. I keep the fudge in the bottom drawer of my fridge (the coldest part) so it stays as cold as possible without freezing.